If you have been charged with a traffic violation in Dutchess County or anywhere in the Mid-Hudson Valley of New York, you may be facing steep fines, points on your license, insurance premium hikes and loss of driving privileges. In many cases, the possibility of jail time is real – especially for repeat offenders and those convicted of drunk driving. Don’t pay the ticket fine before speaking with an experienced Dutchess County traffic ticket lawyer. Paying the ticket is the equivalent of pleading guilty; you will face all the penalties associated with the charge. The first thing you need to do is contact a knowledgeable lawyer who understands NY traffic laws and has the experienced to fight for you. When you call Jonathan Katz, Esq., you can rest assured he will put his more than 36 years of experience in traffic courts to work for you. He knows the judges and the prosecutors in Dutchess County traffic courts and he will craft a defense for you in an effort to get your ticket downgraded or dismissed. Often, traffic tickets can be reduced to non-moving violations (no points) which can help you avoid having your driver’s license suspended or revoked. If you have received a ticket for reckless driving, improper lane changing, distracted driving, DWI/DUI, speeding, driving with a suspended license or any other traffic violation, contact Mr. Katz right away to schedule a consultation. What Happens in a New York Traffic Court? First things first, when you contact Mr. Katz after receiving a traffic ticket, he will craft a defense strategy in an effort to get your ticket downgraded or dismissed entirely. He will negotiate with the local prosecutor in the Dutchess County town where you received your ticket. Mr. Katz has helped countless drivers avoid points, insurance premium hikes and suspended licenses. If Mr. Katz is unable to get your ticket downgraded to a non-moving violation (no points), he is battle-tested and ready for trial. He will assert all possible defenses in your traffic court trial. For more information, review Mr. Katz’s answers to commonly asked questions on our Traffic Ticket FAQ page. 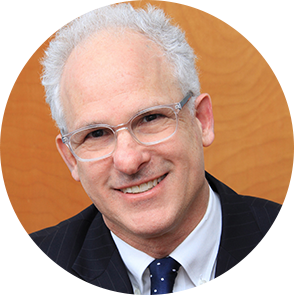 Why Choose Jonathan Katz to Fight Your Traffic Ticket? A moving violation conviction can put your driving privileges at risk. Too many points will impact your insurance rates, too. Before you pay the fine, contact Mr. Katz by calling 866-939-2993. While Mr. Katz is aggressive in the courtroom, he also has compassion for his clients. He knows that there may be a reasonable excuse for the behavior that got you the ticket. Further, he knows that police officers make mistakes. He will put his experience to work for you. In many cases, Mr. Katz will be able to stand in your place in court so you won’t have to take time off of work to appear and fight your ticket. This is especially helpful for a driver from out of the area, a Canadian citizen, for example. If you received your ticket while passing through Dutchess County, Mr. Katz knows that returning to court here can be inconvenient and costly. He can help you avoid insurance premium hikes, points and help you keep your driving record clean. I handle cases for New York and out of state drivers. I handle cases for car drivers, truck drivers and commercial drivers. Getting pulled over by a Dutchess County police officer is stressful enough; having to go to court is even more upsetting. For this reason, many people opt to pay the ticket and move on. However, you won’t really move on from the penalties associated with your charges unless you fight the traffic violation. Contact Mr. Katz today to schedule a consultation about your ticket. He will review your options and explain how he can help you avoid points and keep your driving privileges.